Monrovia – Several health centers across the country are struggling to operate due to lack of drugs and the shortage of petroleum, with the latest being major referral hospitals in three very populated counties. The Liberian Government Hospital in Buchanan, Grand Bassa County, C. B. Dunbar and Phebe Hospitals in Bong County as well as the Tellewoyan Memorial Hospital in Voinjama, Lofa County are all at the verge of closure if prompt interventions are not made. 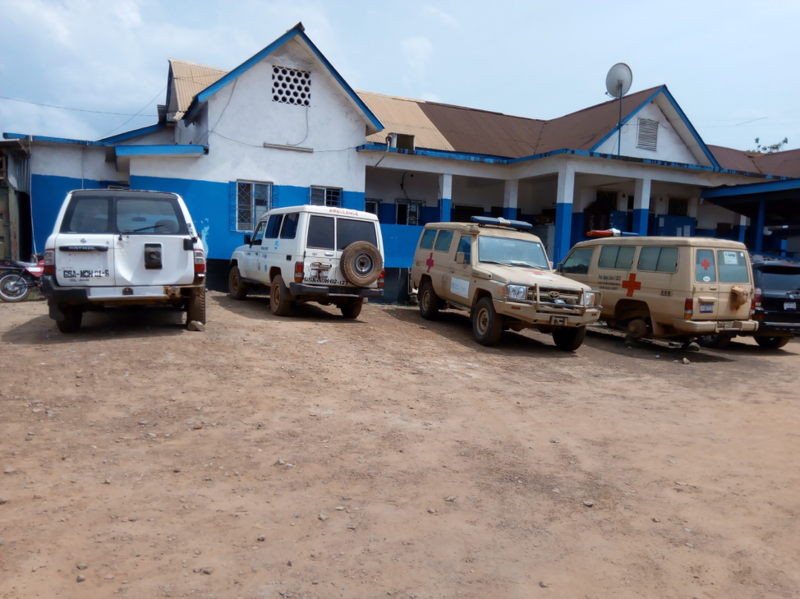 The Ministry of Health is tight-lipped about the condition at these public health facilities, and public health experts say the situation puts thousands of Liberians in peril. Meanwhile, FrontPage Africa has gathered from a source that Health Minister Wilhelmina Jallah and a 60 man team ended a country tour to assess public health facilities. But concerns are also emerging about the hefty cost of the tour, which covers daily subsistence allowance, lodging and feeding and other expenditure; something that may strain the already scanty budget of the ministry amid the looming shutdown of several major public health facilities. In Grand Bassa County, the only government referral hospital is at the verge of shutting down due to lack of financial support from government. Ambulances and other utility vehicles are without petroleum, making the transport of emergency patients impossible. Dr. Abraham Jawara, Medical Director of the hospital, told reporters recently that the hospital has huge challenges that might lead to a closure soon. “There are lots of challenges ranging from the lack of fuel allotment, no essential drug so we are constrained,” Dr. Jawara said, adding that while patients are being told to purchase their own drugs, inpatients have already been asked to transfer to other health centers. “We have been crediting here and there to the extent that we are not creditworthy anymore. So, we are constrained in running the hospital at this point of time. We are not even able to move our ambulance “. The Ministry of Health is aware of what’s happening here; I think this thing (situation) is a nationwide problem because other hospitals are also complaining as well, Dr. Jamara added. The hospital is already lacking its full capacity after fire gutted its annex in 2018. No renovation has been carried out since the damage. In Bong County, the situation is worsening. It is more than a week since FrontPageAfrica reported that major hospitals were low on basic supplies and that fuel shortage was constraining health practitioners to work under odd conditions. On Tuesday February 5, an FPA reporter in the county said the “biting shortage of drugs” had left more citizens exposed. Many people seeking treatment are now bearing the extra cost as they have now turned to private health facilities, as the strain of drug shortage impedes physicians’ ability to attend to patients. Some of the patients had said they will seek alternative treatment from herbalists. The C. B. Dunbar, Phebe hospital and Bong Mines hospitals – three of the largest referral hospitals in Bong County – have been struggling for months, lacking crucial drugs like antibiotics and painkiller. Dr. Jefferson Sibley, medical director of Phebe hospital, said the hospital has not had painkiller or antibiotics since March 2018, adding that the absence of drugs at the hospital has negatively affected four in every 10 patients. In Lofa County, the Tellewoyan Memorial Hospital in Voinjama, which caters to patients from across the county as well as towns across in Guinea and Sierra Leone, is also on the brink of shutdown. The hospital currently faces financial difficulties and the situation may worsen if there is no immediate remedy, a reporter following the situation in the county said. In a letter addressed to the Lofa County Health Team, the administration of the hospital said they are facing budgetary constraints, something that is seriously impeding health care delivery to the public. Reads the letter to the county health authority: “As a result of this, the hospital is currently out of fuel, food, stationeries, cleaning materials and other emergency drugs and medical supplies”. The administration states in the letter that it is yet to receive its second allotment in the national budget, while its current debt to vendors stands at US$47,208.25. At the beginning of the crisis, the hospital employed a short term strategy and began running the generators for 12 hours a day.But at the moment, it is providing power for less than 6 hours. Inside sources say machines now run from 6:30 PM to 10:00 PM daily. Albert Kolee, the hospital administrator, says most of the debt was incurred on the use of fuel consumption, adding that vendors have refused to further credit the hospital. This makes the hospital incapable of rendering life-saving medical services to patients, Kolee said. The hospital is also struggling to keep its ambulance running, and has parked all other vehicles due to the lack of fuel and mechanical faults. Nurses and other health workers are riding commercial motorcycles to commute to work. “This is very humiliating to professional people and if not dealt with immediately could lead to turnover of much-needed professional staff,” reads the hospital’s letter addressed to county authorities. However, the hospital administration has assured that it will exert all efforts to keep it running. “Yet, being the only referral hospital in the region, we can’t afford to close the hospital, We have resolved to explore every means and to do everything in our power to keep the hospital open and functioning” said the authorities. Back in Bong County, residents have rechoed the urgency of government’s intervention and avert a health crisis. Mr. Alieu Konneh, a resident of Gbarnga, says he has not been given a single pill at the Phebe hospital in the last couple of times he sought treatment there. Like residents of Bong County, people in Buchanan are also feeling the pinch. They claim the government is ignoring the importance of the health sector. “The lack of vision is what going to kill us in this country. Things that need to be prioritized are not been prioritized by our leaders because they feel that when they’re sick, they have money to travel outside of Buchanan for treatment,” claims Samuel Johnson, a resident of the port city. Johnson asserts that when the hospital shuts down, it’s going to be dangerous for the county. Evelyn Karyea, another resident, says a protest to lure government’s attention to the plight of the health sector is imminent. “Our lawmakers and the government need to work speedily before the hospital gets closed. If the hospital closes no lawmaker, Superintendent or government worker will work in peace until the right thing is done,” Karyea warned. “If we take action the government is going to know how serious the health issue in this county needs to be settled”.